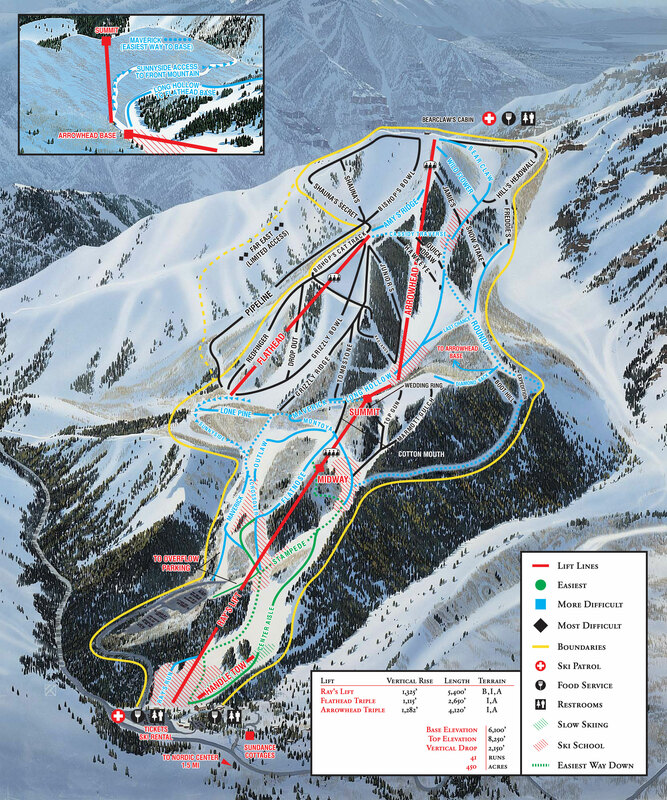 Vertical Drop - 2,150 ft.
Base Elevation - 6,100 ft.
Top Elevation - 8,250 ft.
Sundance Ski Resort is located 51 miles southeast of Salt Lake International and a few miles west of Orem. Take I-15 south towards Provo. Exit at 800 North in Orem (#272). Head east towards the mountains and continue up the canyon approximately 7 miles to Scenic Route #92- the first left after the tunnel. Sundance is 2 miles on the left.